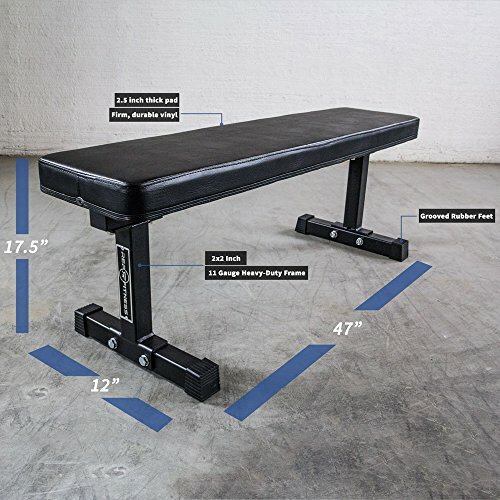 STRONG AND STABLE: Our heavy-duty 1,000 lb ASTM rated flat weight bench is essential equipment for any home or light commercial gym. 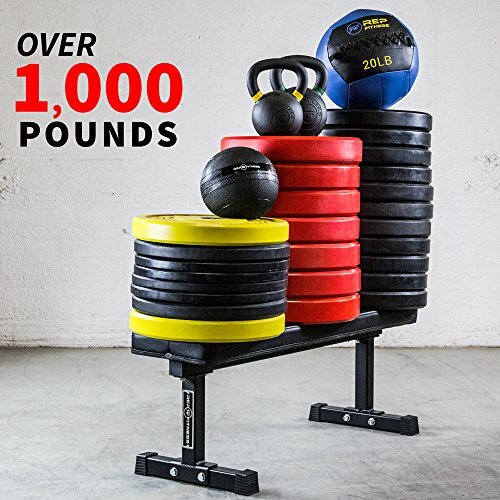 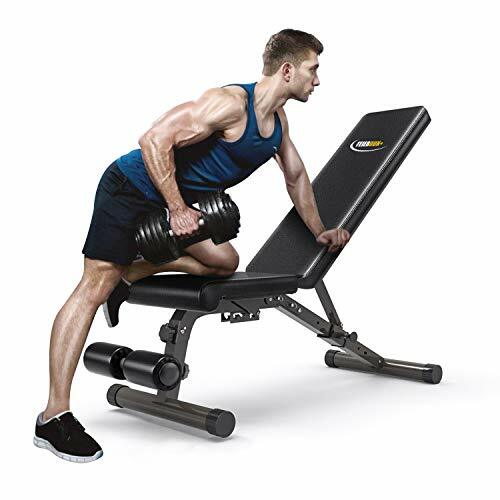 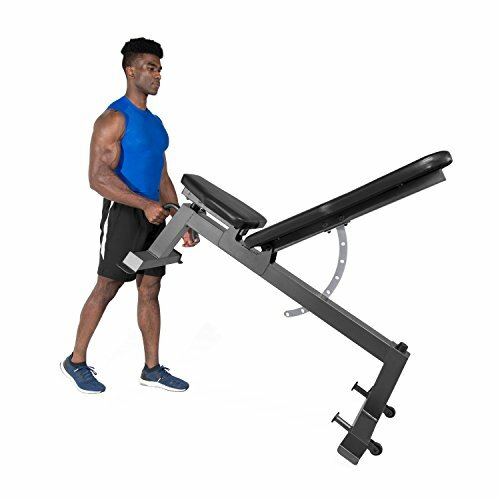 Designed for use with dumbbells, smith machines, cages or power racks.,PERFECT SUPPORT FOR LIFTING: The pad measures 12 inches wide, and the stable 16 inch base makes it ideal for back support and leg drive during bench press. 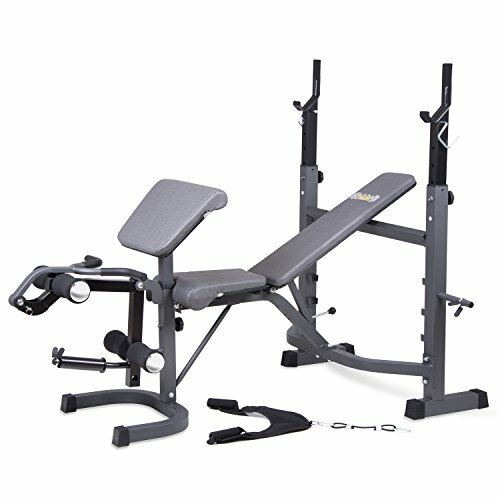 It's comfortable to sit on but durable and sturdy under load. 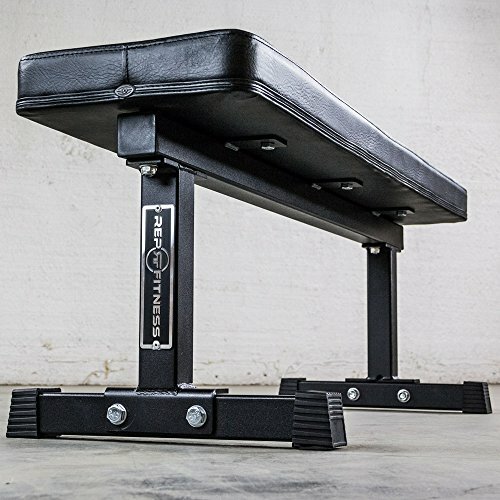 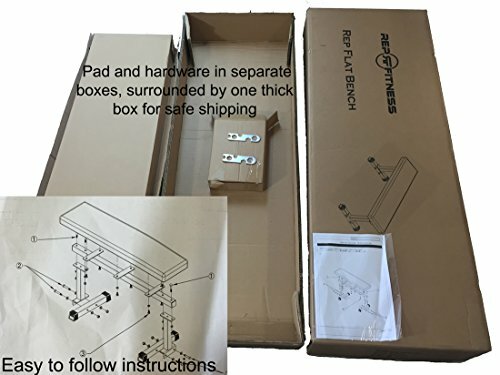 The top surface of the pad is 17.5 in from the floor.,QUALITY MATERIALS: Our flat bench is constructed from 11 gauge steel with a thick plywood base layer (NOT particle board like our competition), dense foam core, and soft top layer for the perfect mix of support and comfort where you need it. 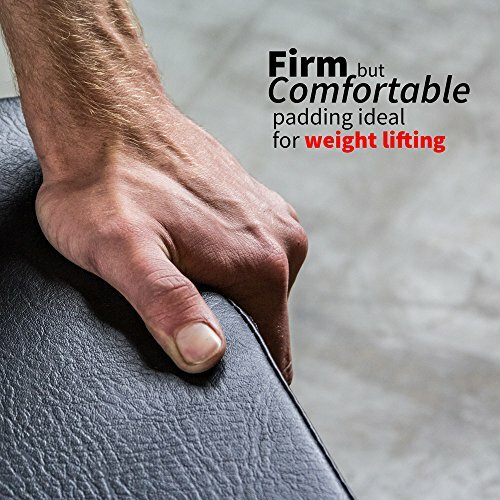 The 2.5 inch thick pad is covered with durable, textured non-slip vinyl and professionally stitched.,EASY TO CLEAN AND STORE: At 45 lbs, you can easily move it around your gym or store it out of the way when not in use. 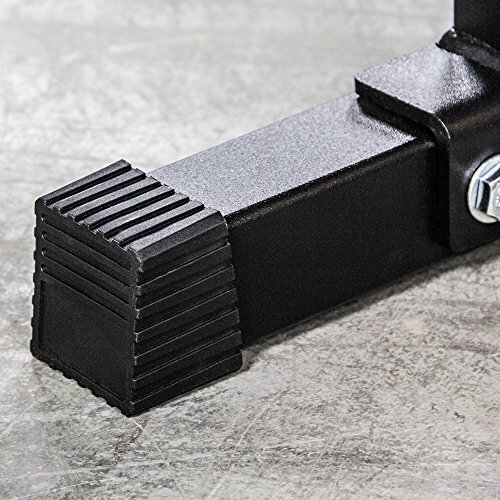 The pad is covered in ultra-tough, durable vinyl that wipes clean quickly and easily. 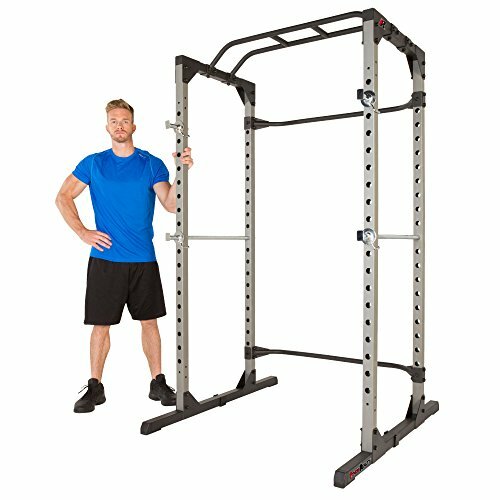 Dimensions: 47x12x17.5 inches,BUY WITH CONFIDENCE: Order today and get a 10 year warranty on the frame, 30 day warranty on the pad. 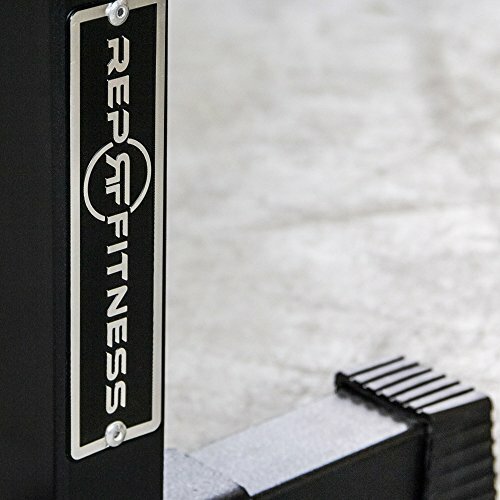 Rep Fitness is a full-service equipment company based in Denver, Colorado. 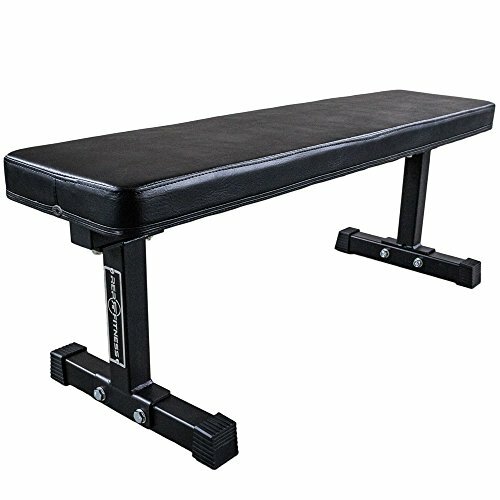 We carry a complete line of strength and conditioning equipment including benches, barbells, dumbbells, racks, cardio equipment and more!